Rancho del Sol, situated on the East Cape, is a new, exclusive, master-planned development that showcases 34 single-family oceanfront and ocean view estate-sized lots with a six-acre area for future condominiums. The lots range in size from 1,045 to 1,690 square meters (approx. 11,250 to 17,000 square feet). Strict CC&R’s and building design guidelines will be in place to protect the integrity of the development with a special emphasis on green living. We can assist buyers with all aspects of purchasing property, construction, interior design and landscaping. Located between Vinoramas and Los Frailes, this East Cape development offers stunning, secluded beaches and proximity to world class diving, fishing, surfing, windsurfing and kayaking. Rancho del Sol is approximately 45 minutes from the Los Cabos international airport. The East Cape of Baja is seeing unprecedented growth. For the ones in the know, it is the place to be. Those that have the vision and foresight to purchase now will potentially see huge returns on their investments and the opportunity to live in the most beautiful area of Los Cabos. Currently a rustic area, major new high-end developments are master planned and underway. The new marina at Puerto Los Cabos is nearing completion; new upscale hotels are slated to begin construction soon. With that, it is conceivable that paved roads, utilities and services will be available in the near future. Opportunities like this are very rare so get your piece of paradise while it is still affordable. 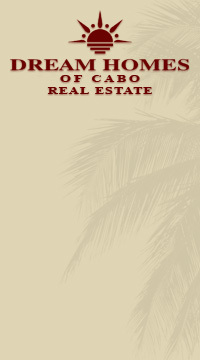 Upon purchase, United States title insurance is available. Inquire about construction financing. Please call us for further information about these East Cape lots or to arrange a tour.